BizFlex Retail Virtual Store is ideal for single, multiple or wholly owned chain or franchise stores. All products, prices, customers, sales, laybys, vouchers, purchase and customer orders are available to all stores through an immediate and up to date data transfer system. BizFlex Retail offers an on-line inter-store data transfer system which is new, innovative and unique to multi-store retailers in Australia. The BizFlex Database Replication Engine is vastly superior to existing overnight ‘dial up’ data transfer methods common to many other software systems. The BizFlex Replication Engine enables selective inter-store data transfers automatically and reliably within the group. 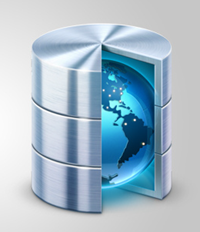 Your database is secure within the highly evolved BizFlex Database Replication System. All, or selective, data can be automatically duplicated at multiple remote locations, or Cloud based, retaining up to date information on a 24 x 7 basis. BizFlex data is automatically synchronised across databases on resumption, in case of Internet interruptions or power failures. 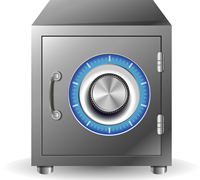 Enquire about our backup software system that can be tailored to suit your security needs. Offsite copies of your database are just as important as any part of your business. BizFlex Auto Backup can be configured to copy your database, zip it up and send it to any offsite location, including servers at the BizFlex Office.